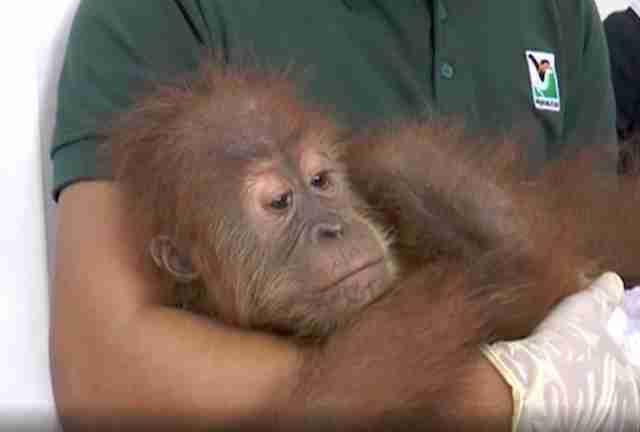 The two orangutans were just babies who should have been with their moms. Instead, they were far from home in a strange building with strange people all around them — and they were understandably scared. They wrapped their arms around each other, and squeezed for comfort. These orangutans were two of 435 animals illegally caught from the wild in Sumatra, a large island in Indonesia, and smuggled onto a cargo vessel bound for Thailand. If they’d arrived at their destination, the animals would have been sold as exotic pets for large sums of money, either in Thailand itself or another country in Asia. However, Malaysian customs officials managed to stop the boat before it reached Thailand and rescue all of the animals, according to a news report. Besides the orangutans, there were baby saltwater crocodiles, sugar gliders, parrots and parakeets. 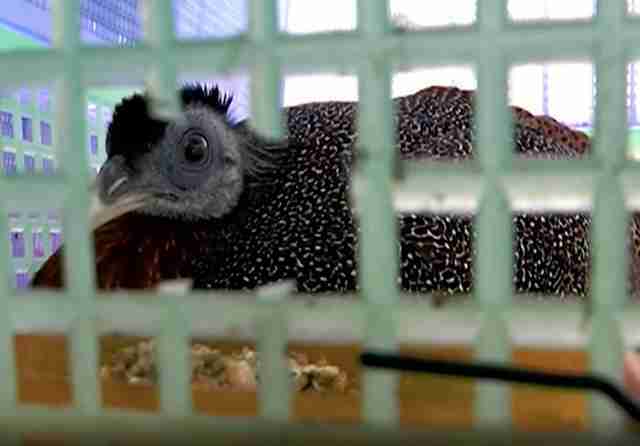 While it’s not clear how they were being transported, Richard Thomas, global communications coordinator for TRAFFIC, an organization that campaigns against wildlife smuggling, doesn’t think the animals’ comfort would have been a consideration. 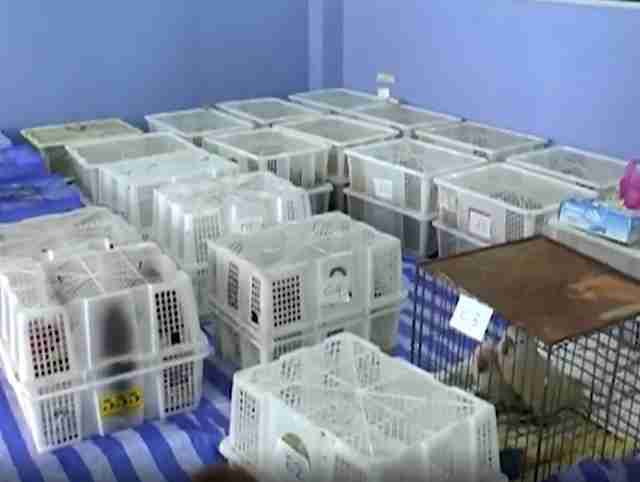 As a result, smuggled animals often die in transit. “In general, there is a relatively high mortality because of the covert nature of the trade, and the animals are likely to receive poor treatment,” Thomas said. All of the animals would have greatly suffered, but the two orangutans, who both appear to be infants, would have found this experience particularly distressing. If the orangutans had ultimately been sold into the pet trade, they would have faced a “grim future,” according to Key. 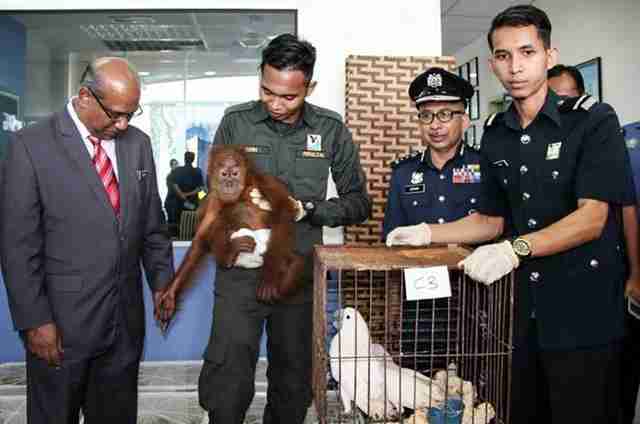 Three Indonesian men have been arrested in connection with this smuggling attempt, according to a news report, and the animals are now in the care of wildlife officials in Malaysia. To help rescue orangutans and other wild animals, you can make a donation to IAR. You can also support investigations of wildlife trafficking by making a donation to TRAFFIC.